Precise shrinking and setting in one device. 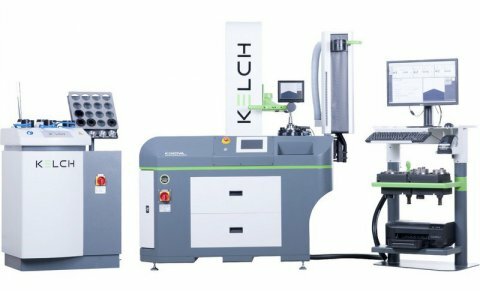 Shrink grip and shrink release, measurement and presetting – the KENOVA set line V9xx-S offers all this and more. 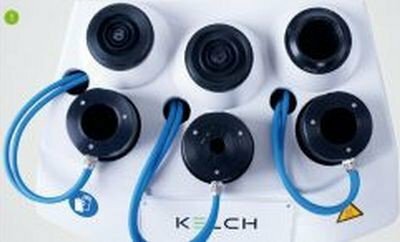 A tool presetter combined with an inductive shrink fit device; functionality is guaranteed with no limitations in terms of technology. Its length adjustment during the shrinking process and measuring precision are unique. Dynamics and flexibility in one. 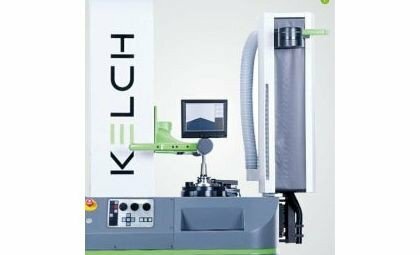 KENOVA set line V9xx-S combines the tool presetter KENOVA set line V9xx and the shrink fit device i-tec® XL to create an automatic station. The KENOVA set line V9xx-S enables tools to be perfectly measured, preset and simultaneously shrunk on one device. The unique feature is that users have two tool presetting processes available simultaneously. In the phase in which the chuck is opened by warming, the tool is set exactly to its target length fully automatically. The benefits of this process include the short cycle times and the option of changing the tool in a single cycle. Naturally chucks from different “quality manufacturers” can also be used here. If measurements are necessary, which do not permit setting during the expansion phase of the chuck, the length of the shank tool is determined using setting adaptors prior to heating. The tool is finally shrunk to its target length using intelligent calculation and pre-positioning of the setting pins. This process is mainly designed for complex measuring tasks or for HSS tools. Ergonomic and flexible cooling system for simultaneously cooling up to three shrink fit chucks. Includes a holder for up to 16 cooling sleeves, magnetic plate for setting pins and drawer for further accessories. Swivel shrink fit equipment with high-performance coil with up to 13 kW heat output. With a 600 mm effective stroke, even long tools and extensions can be automatically shrunk. Suitable for shrinking HM and HSS tools with a Ø of 3 - 32 mm. The swivel equipment enables even large cutter heads with a Ø of up to 300 mm to be measured and set. 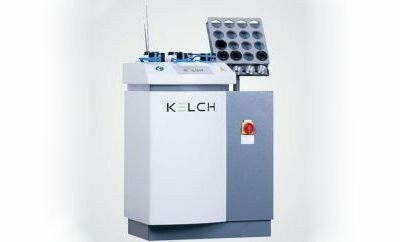 Fully-functional tool presetter with integrated induction coil for automatic shrinking with length adjustment.